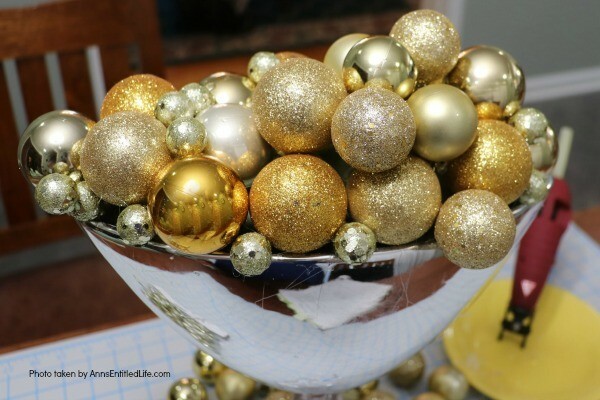 This upcycled New Year’s Eve décor is a great celebration centerpiece! 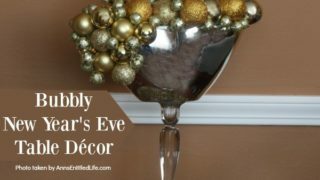 You can use this champagne bubbly inspired craft for your champagne party, as an accent at a party bar or as fun décor at any cocktail party – or simply leave it up year-round on your wet bar. 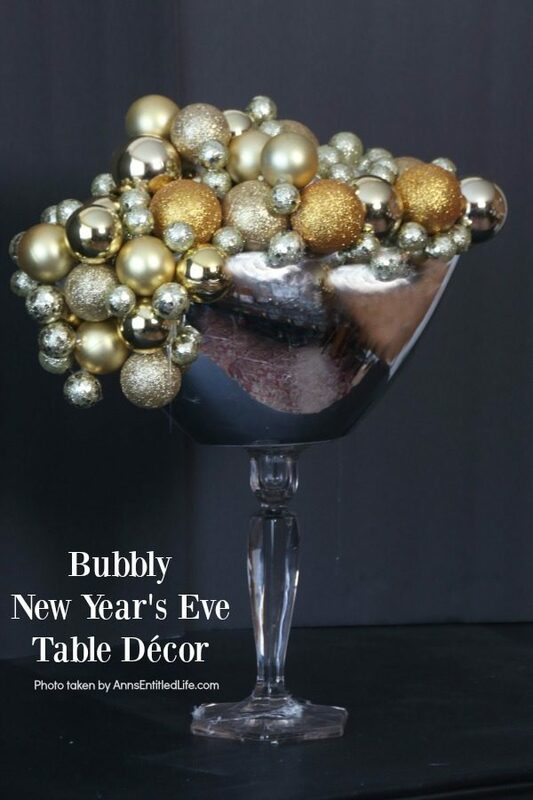 Super easy to make, this Bubbly New Year’s Eve Table Décor piece can be made in gold, silver, copper, rose gold, or pink champagne colors for a great added sparkle decoration adorning your party tabletop arrangement. This fabulous little craft took under 30 minutes to make. It is even better looking in person, but do be warned that if your old floral piece is shiny it will reflect everything and anything. 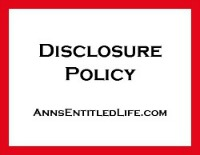 • I listed this as New Year’s Eve but it can be used at any party where you have a bar, engagement parties, weddings, Mardi Gras, Roaring 20S Party, the list is endless. 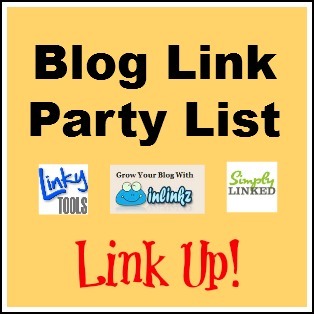 • This is super easy to make. You are using leftover Christmas ornaments, an old floral container, and an old candlestick. 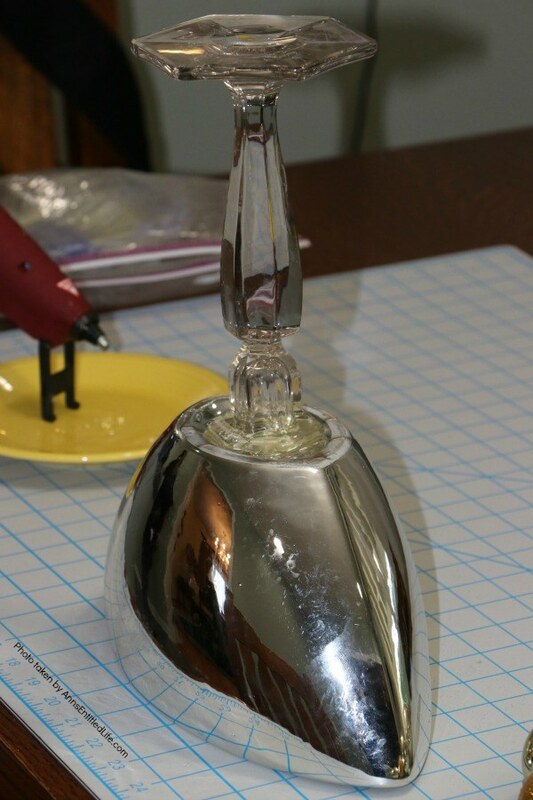 If you do not have items to upcycle, look for an oversized martini glass, or champagne glass at your local party supply store and use that. 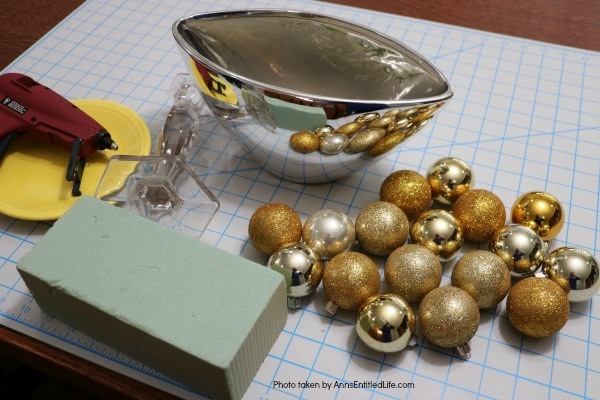 • This looks so great because three different size balls were used, and also different textures were used: matte metallic, metallic, and glitter (so flat, flat sparkle, and sparkle). • Liquid nails is the preferred glass adhesive. 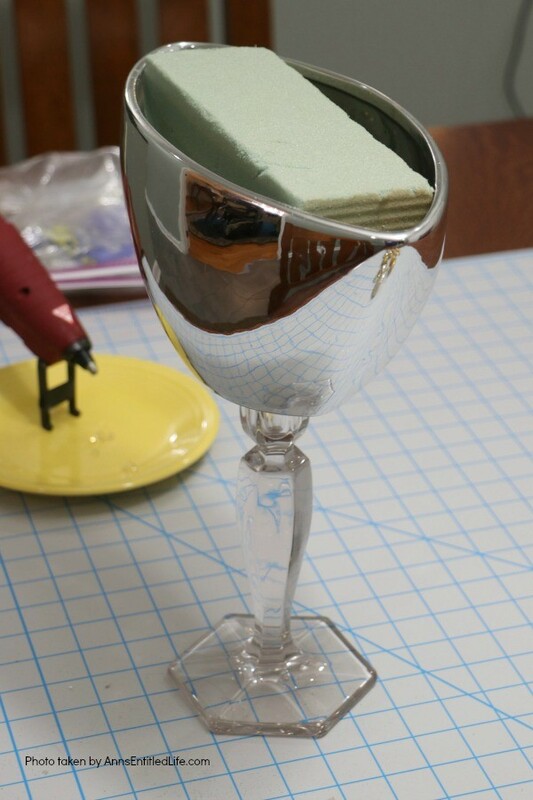 We used hot glue, but for glass, liquid nails is best. • Remember that this is a 360-degree craft, and keep turning as you are gluing. • We did not use all ornaments. We used a combination of ornaments for the larger bubbles and smaller gold balls for the smaller bubbles. • Glue together the candlestick to the base of your floral container. If you purchased a new container that already has a base, skip this step. 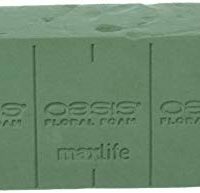 • Fit floral foam to the inside of your floral container. Hot glue in place. • Start affixing bulbs to the floral foam. You want to make sure the bulb caps (if you are using ornaments) are down toward the floral so they will not be seen. 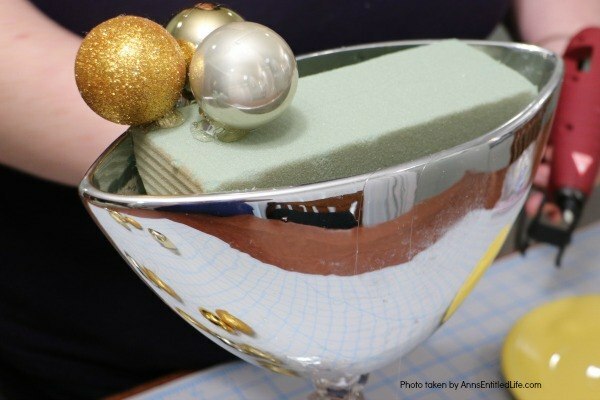 Begin by using larger bulbs to cover the floral foam. Hot glue in place. • Hot glue smaller bulbs over the holes left behind by the smaller bulbs. 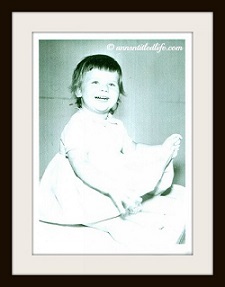 • To make the spill: start hot gluing balls in a stagger over the side of your “glass cup”. Think of how a champagne glass bubbles over, this is asymmetrical and swoopy. 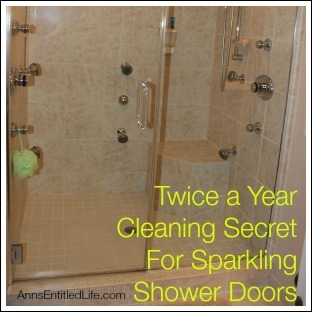 • Turn your bubbly decor as you are working, and fill in any holes or bare spots with bulbs. 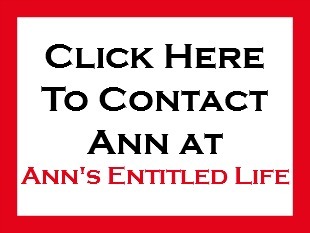 Continue to turn and fill in the spaces until you are happy with the fill. 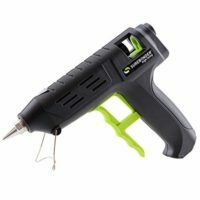 • Pull off any hot glue strings. 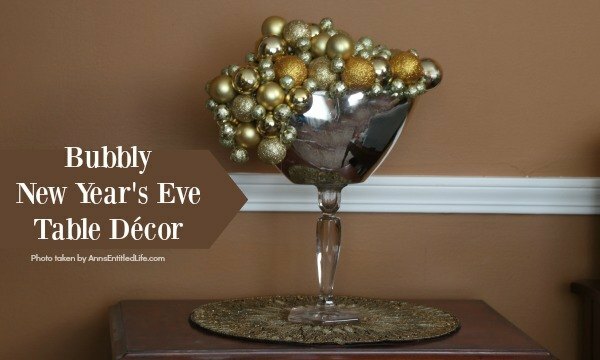 This upcycled New Year's Eve décor is a great celebration centerpiece! 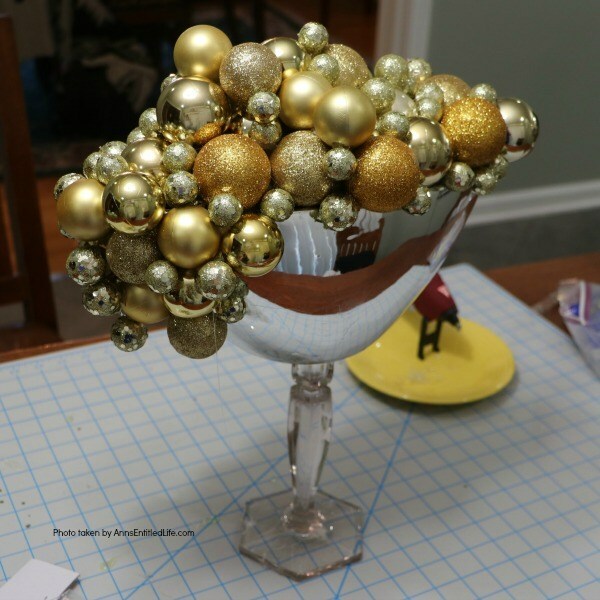 You can use this champagne bubbly inspired craft for your champagne party, as an accent at a party bar or as fun décor at any cocktail party - or simply leave it up year-round on your wet bar. 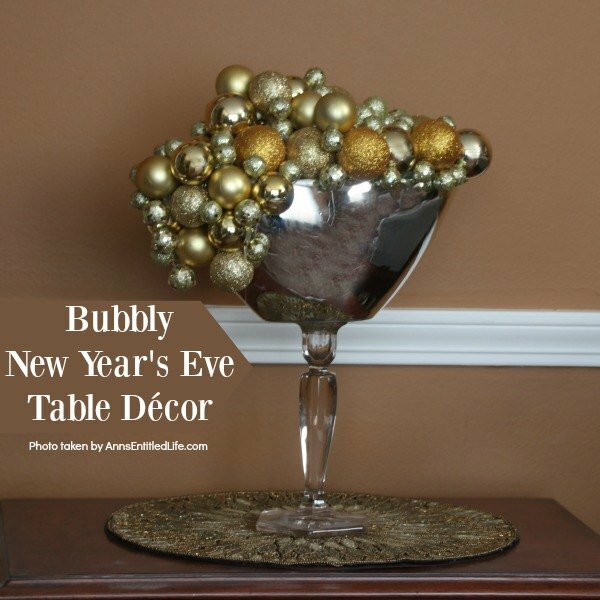 Super easy to make, this Bubbly New Year's Eve Table Décor piece can be made in gold, silver, copper, rose gold, or pink champagne colors for a great added sparkle decoration adorning your party tabletop arrangement. • Glue together the candle stick to the base of your floral container. If you purchased a new container that already has a base, skip this step. 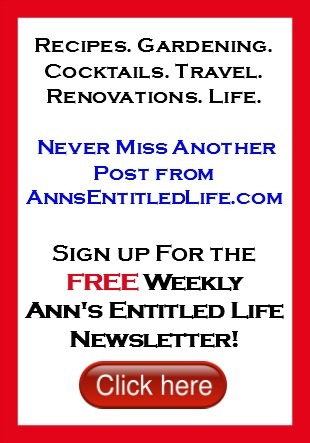 • To make the spill: start hot gluing balls in a stagger over the side of your "glass cup". Think of how a champagne glass bubbles over, this is asymmetrical and swoop-y. • Winter Holiday Tablescape: White, Silver and Blue – Hosting a holiday party? Dressing up the table for Christmas, New Year’s or just because? Break away from the traditional green and red Christmas colors and try something entirely different. This beautiful winter holiday tablescape features white, silver and blue. A lovely cool theme to compliment the winter landscape. • Valentine’s Day Tablescape – Hosting a Valentine’s Day Dinner? Dressing up the table for Valentine’s Day? This beautiful Valentine holiday tablescape features white, red and pink. A lovely bold theme to compliment your delicious dinner. • Easy Fall Tablescape Idea For You – Looking to dress up your table for Fall and Thanksgiving. It is time to change out the decor around your house to all things Fall! Do you have plans to decorate your house this Autumn? Or maybe you’re hosting a Fall Dinner or having friends and family over for a Thanksgiving celebration? If you would like some tips on how to decorate your table for Fall or Thanksgiving, I have a beautiful and easy Fall Tablescape Idea for you!